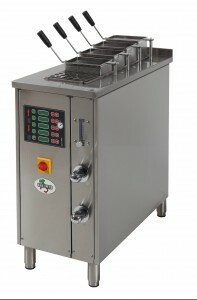 Commercial pasta cooker CP series from Italgi. Perfect for restaurants cooking pasta and noodles. Seperate programable cooking time for each basket. Automatic temperature and water level. 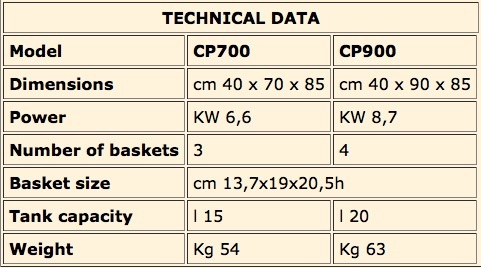 Two models available; CP700 (3 baskets) and CP900 (4 baskets). 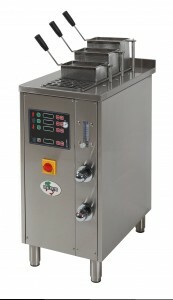 400v 3-phase 6.6kw (CP700) 8.7kw (CP900). Click on specifications below for brochure.